The new resource site, titled Drug and Alcohol Clearinghouse, will give drivers, employers, state driver licensing agencies, medical review officers, and substance abuse professionals access to information about the clearinghouse; which includes a fact sheet, implementation timeline, and FAQs. 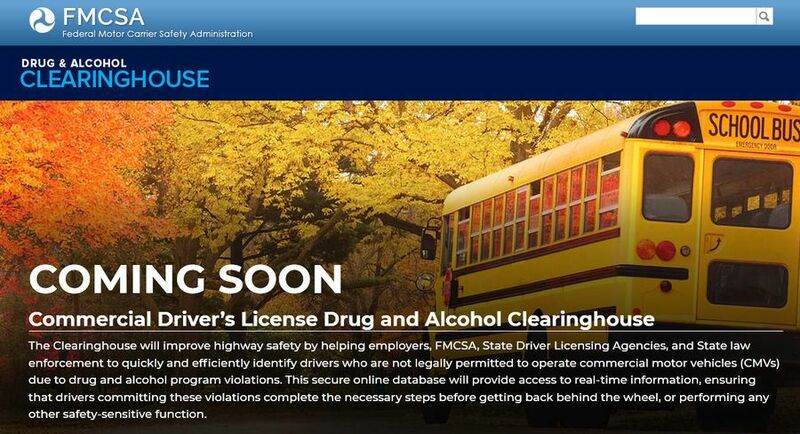 According to the news release, the clearinghouse website will be a secure online database that will allow FMCSA, CMV employers, state driver licensing agencies, and law enforcement officials to identify – in real-time – CDL drivers who have violated federal drug and alcohol testing program requirements. In fact, use of the clearinghouse website will be mandatory to report and query information about driver drug and alcohol program violations once the new program goes into effect beginning January 6, 2020. Employers must conduct both electronic queries within the clearinghouse, and manual inquiries with previous employers to cover the preceding three years. Carriers must also query the database at least once each year for existing drivers. “Specifically, information maintained in the clearinghouse will enable employers to identify drivers who commit a drug or alcohol program violation while working for one employer, but who fail to subsequently inform another employer,” the FMCSA reported. Implementation of the clearinghouse website as mandated to FMCSA by an act of Congress, has been in the works since December 2016. 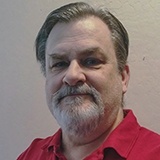 The rule is for the clearinghouse only, and does not change any existing requirements in the US DOT-wide procedures for transportation workplace drug and alcohol testing. "As this Congressional mandate is enacted, FMCSA’s goal is to provide as many resources and updates as possible to those who will be using the upcoming Drug and Alcohol Clearinghouse. As we transition to the use of the clearinghouse, we will ensure drivers, employers, and state licensing agencies are kept up-to-date throughout the implementation process. FMCSA is here to be helpful and to assist all CMV stakeholders who have questions regarding the Drug and Alcohol Clearinghouse," said FMCSA Administrator Raymond P. Martinez. Registration on the clearinghouse website for eligible users will begin in the fall of 2019. Basically, the clearinghouse will contain records of violations of drug and alcohol prohibitions in 49 CFR part 382 , subpart B, including positive drug or alcohol test results and test refusals. When a driver with a drug and alcohol program violation completes the required return-to-duty process, this information will also be recorded in the clearinghouse. Drivers will need to log into the clearinghouse in order to electronically consent to requests from prospective and current employers needing to access full details about any drug and alcohol program violations in a driver’s history, as part of employment-related background checks. This is the only valid method for responding to this type of employer consent request, and failure to provide timely consent may result in a driver being prohibited from performing safety-sensitive functions for that employer. Drivers can log in at any time to view their individual driver record. If choosing to engage a substance abuse professional, a driver must select the professional through the clearinghouse to initiate the return-to-duty process. To complete the actions outlined above, drivers will be required to register with the clearinghouse. Sign up to receive email notification once registration is open. As of January 6, 2020, State driver licensing agencies will be able to query the clearinghouse prior to completing licensing transactions. Driver information will not be available to the public; only authorized users will be able to register and access the clearinghouse for designated purposes. The clearinghouse will require authentication (username/password) to access records. Drivers registered in the clearinghouse will be able to access their clearinghouse records at any time, and at no cost to them. Drivers will only be able to access their own information, not information about other drivers. FMCSA will only share detailed drug and alcohol violation information with prospective or current employers when an employer has requested and received specific consent from the driver. Drivers will be able to see the information that would be released to an employer before consenting to the release.